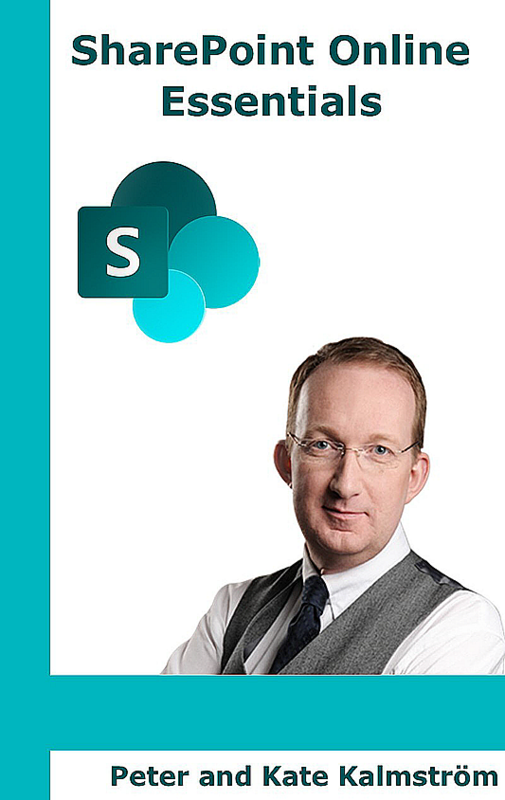 SharePoint Online Essentials, SharePoint basics for all users by Peter Kalmström. SharePoint Online Essentials is a book for the ordinary user who only needs to know the basics about Office 365 SharePoint. For administrators and other power users, I recommend my other SharePoint books. In SharePoint Online Essentials Peter Kalmström explains how SharePoint lists and libraries work and how users can add, manage and share content. Peter also describes the two user interfaces, modern and classic, and gives step by step instructions on how to create modern team and communication sites and fill them with content. SharePoint Online Essentials has multiple links to kalmstrom.com Tips articles with video demonstrations that give explanations in other ways and make the learning more varied. SharePoint Online Essentials is a small, cheap book that can be given to all SharePoint users for reference. It is available as Kindle e-book and paperback from Amazon.